Carpet Index: Measuring Hall, Stairs & Landing. Here you will learn the basics of measuring. Remember!! this information is just a guideline. 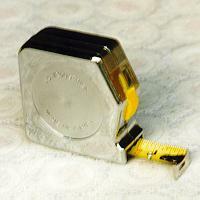 So, You feel confident enough to tackle measuring your own hall/stairs&landing eh??? 1. If a flat area such as a hallway is square or rectangle in approximate shape, measure it as one! ie. don't complicate things by taking down minute measurements for a 1" recess etc. Keep it simple (unless your dimensions are large and may need seaming). Take your maximum dimensions only (remember to measure into doorways). 2. Note the arrow pointing down the stairs into the landing. This is a very important point to remember when measuring anything involving stairs. This will be explained in more detail later. Ok. Lets begin. We're going to use a standard domestic H/S/L (Hall Stairs Landing). Just for an example. Make a diagram like this one. Take down measurements for points 1, 2, 3 & 4. Remember to make a note of which way is down (red arrow). Measure as if it were a square room, Remembering to measure into doorways and the maximum points. Not forgetting to point out the direction of the stairs coming down into the hall. Congratulations !!! You've just measured your H/S/L. Now all you need to do is plan it out. This is often best left to the fitter or retailer, but were going to do it to give you an Idea of how it's done. For this example were going to plan it out on a plain twist pile that is only available 12' wide. Before we start to plan. the first thing to remember is the arrows you drew on your plan to determine which way is down the stairs. The reason for this is due to the construction of carpets, every carpet has a pile direction. This is similar to the way your hair has a direction. It is important to run the direction of the pile the same way as your arrows. This way your carpet will have a long life and not wear out prematurely. Note Pile direction only travels along the length of the carpet, NEVER the width. The best way for me to explain how to draft a cutting plan, is to imagine your net sizes as parts of a jigsaw puzzle. The best way for me to explain how draft a cutting plan, is to get your net sizes, allow enough for trimming and fitting (min 3 inches). Then Imagine them as parts of a jigsaw puzzle. The carpet we are planning the H/S/L out of is 12' wide, so you have to play with the jigsaw pieces to make them fit into it as economically as possible.